consumer health products for over a century. The very first product ever offered by Sapat was the Sapat Lotion, way back in 1897 by Mr. Ramashankar Haribhai Joshi. From there on Sapat’s Pharmaceutical department grew at a steady pace, launching products ranging from analgesics to hair-care. Sapat’s antifungal products are made from the best resources in the market. They are safe and extremely effective against skin-related fungal infections. Sapat's non-alcoholic formula provides safe, quick and much-needed relief from problems such as sore throat, bronchitis, cough, cold and more. Sapat's personal care products helps provide gentle care and better health in the most natural way possible. 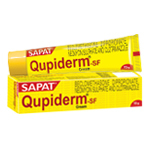 Sapat has also got a range of generic medicines. It's a pharmaceutical drug which is equivalent to a brand-name product in dosage, strength, quality, performance, and intended use. 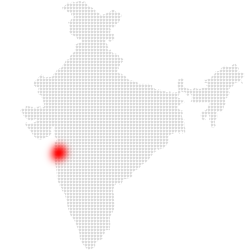 We guarantee that our products are among the best in the market. Feel free to or ask for more details. 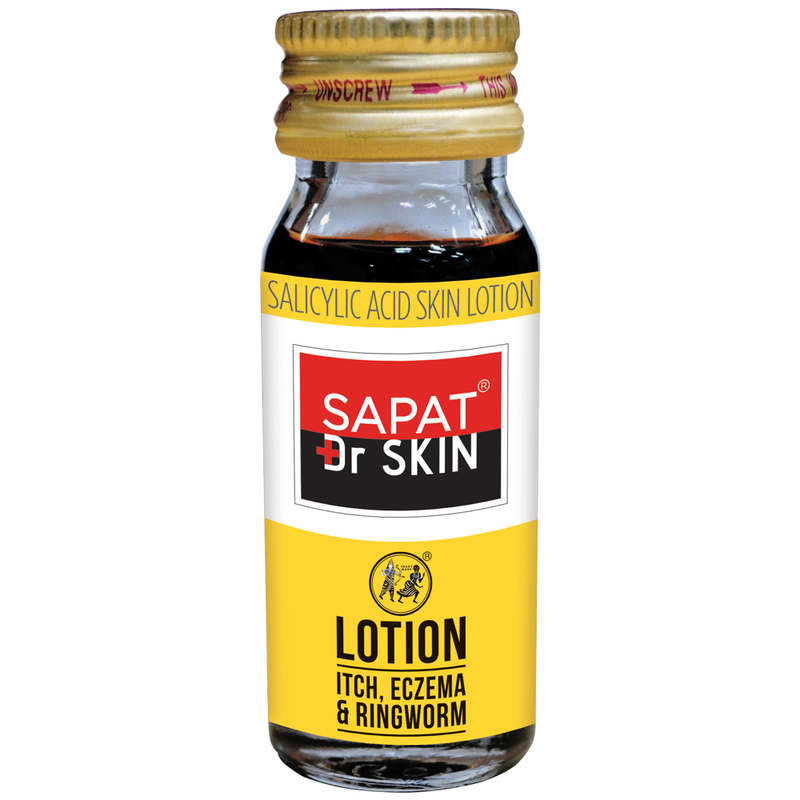 The oldest & flagship Brand of the group, Sapat Lotion is a fungicidal skin lotion, in liquid form. 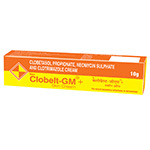 Its Keratolytic and Antifungal properties destroy parasites and provide immediate relief. 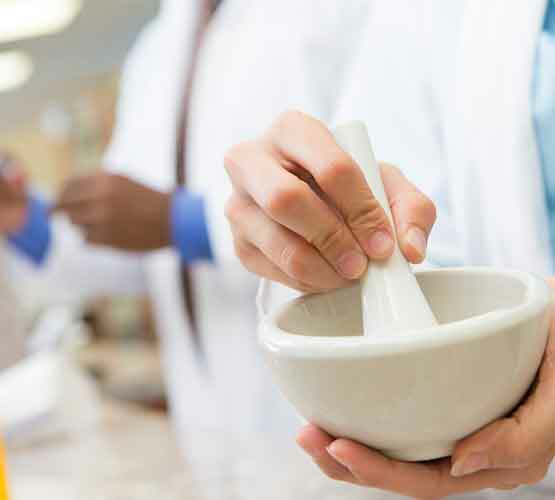 Sapat Malam, Sapat’s another heritage and most prestigious OTC product is the only malam with Modern Molecule TOLNAFTATE – a highly active fungicidal agent. ItchGel is a unique gel-based anti-itch medication with the added skin rejuvenating properties of aloe vera. 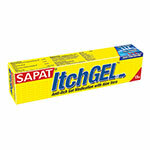 It is the only gel-based anti-itch OTC product in the market. It’s a broad spectrum antibiotic cream It’s effective against wide range of micro-organizms including Bacteria, Fungi. 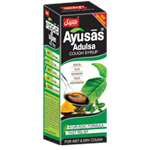 Sapat’s Ayusas is amongst the best ayurvedic cough syrups in the market. Its unique triple action formula relieves sore throat, clears cough and boosts immunity, It also improves overall immunity so that your body can recover from any external influences. It penetrates deep into the scalp – right to the hair follicles – to prevent hair fall and dandruff, while maintaining the moisture level of the scalp. For Fungal Infections, Bacterial infections, Itch and Eczema. 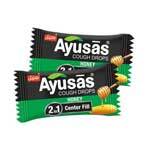 Ayusas 2-in-1 Honey & herb cough drops, combine the natural goodness of honey with 12 powerful throat protective herbs. Fight pollution, Naturally! 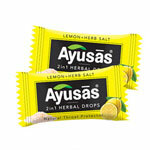 Ayusas 2-in-1 Lemon and herb salt herbal drops contain a natural lemon and salt combination. It's like a tasty Lemon and salt-water cleansing for your throat.